He is often referred to as 'the great helmsman', 'a magician' or, less dramatically, as the most respected public sector manager India has produced. 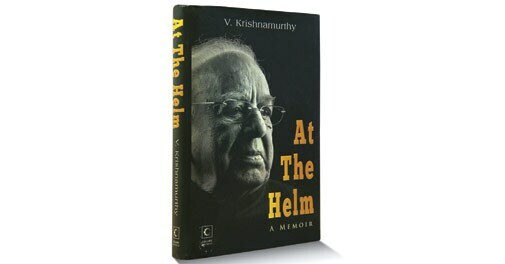 So when I heard V. Krishnamurthy had penned his memoir, I was very keen to read it to understand his achievements. What sets his work apart is that it not only benefited the companies he headed, but also changed India irrevocably for the better. By the 1960s, public sector units (PSUs) had acquired a poor reputation. Madras Fertilizers, which was setting up a factory then, wanted to import a boiler. Krishnamurthy, who was General Manager at Bharat Heavy Electrical Ltd's (BHEL) Trichy unit, offered to make and supply it. But no one believed a PSU could do so. The matter reached the Union Cabinet and Morarji Desai - then deputy prime minister and finance minister-mocked Krishnamurthy, saying the public sector had never delivered anything on time. He finally relented only after Krishnamurthy staked his job on the timely delivery of the boiler. The boiler was delivered on time and Krishnamurthy retained his job, but more importantly, his success went a long way in proving that even PSUs could deliver. In the early 1970s, then Prime Minister Indira Gandhi handpicked Krishnamurthy to head BHEL after his success at the Trichy unit. Gandhi's mandate to him was to break up the company into smaller units - which might be more efficient - as she had no faith in the ability of Indian managers to manage large enterprises. Krishnamurthy kept BHEL intact and also made it profitable. Had he failed at BHEL, Gandhi would have been proved right on Indian managers, leading to the break-up of all PSUs into smaller, less-efficient entities. The book reveals that Krishnamurthy was a pioneer at deploying modern managerial skills and tools. Being accessible to workers, aggressively bidding for orders both in India and overseas, emphasising quality, outsourcing production of components, creating a corporate plan, instilling customer focus and export thrust, upgrading technology, moulding future leaders and integrating with the local community are the norm for managers today. Krishnamurthy, however, did all this way back in the mid-1960s and early 1970s. His success at Maruti Udyog Ltd proved that India too could produce quality cars. It transformed the country's automotive sector - once they got the chance, global car makers streamed into the country to benefit from the base he had created. At Maruti, he convinced the government to allow foreign equity participation (in 1982!) though on a selective basis. This can be considered the beginning of India's economic liberalisation. He created a distinctive 'Maruti culture' that included discipline, punctuality, productivity, cost and quality consciousness. At Steel Authority of India Ltd, he prepared the steel behemoth for decontrol by first modernising the mind of its employees and then bringing in technology upgradation. How did a PSU head achieve this in the face of large-scale interference from the government, pressure from labour unions and the complacency a closed economy creates? The book delves into these aspects at great length and offers valuable lessons. "As I look back on my life and career, I cannot help but feel that it has been a life well spent," Krishnamurthy says in conclusion. Not even his worst adversaries would disagree.